The debut novel of the winner of the Man Booker Prize 2015 Jamaica, 1957 On a day beginning with a bad omen - black vultures, known locally as John Crows, crash through the local church windows - a handsome and charismatic stranger drags the village preacher from his pulpit and takes over both church and congregation. Promising vengeance and damnation, he wastes no time delivering both, and in doing so starts a power struggle that sets the village of Gibbeah on a path to destruction. 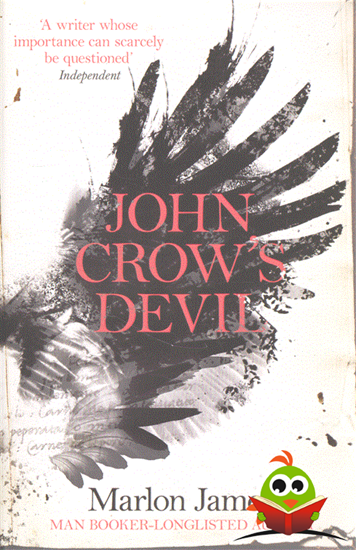 With language as taut as classic works by Cormac McCarthy, and a richness reminiscent of early Toni Morrison, John Crow's Devil is a terrifying and moving novel about religious mania, redemption, sexual obsession and the eternal struggle between the righteous and the wicked.